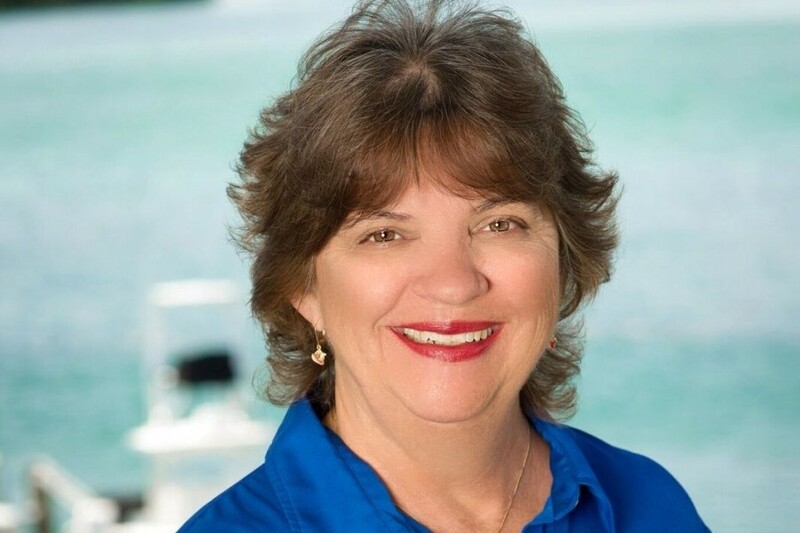 One of those Champions is Dr. Kevan Main, Senior Scientist at Mote Marine Laboratory in Sarasota County, Florida, where she serves as Director of the 200-acre Mote Aquaculture Research Park. Main is Past President and a current member of the World Aquaculture Society, and she has led Mote’s aquaculture research efforts since 2001, guiding the development of Mote’s inland, re-circulating aquaculture systems that raise marine fish while recycling 100 percent of the salt water and using fish wastes to fertilize salt-loving plants. Dr. Kevan Main, Senior Scientist at Mote Marine Laboratory, and Gil Sharell of Aquatic Plants of Florida, work together in a saltwater aquaponics greenhouse that raises plants using nutrients from marine fish wastewater at Mote Aquaculture Research Park in Sarasota County, Florida. Credit Mote Marine Lab. The Champions of Change program allows the White House to feature individuals doing extraordinary things to empower and inspire members of their communities. Read more about Champions of Change below. Friday’s event will be live streamed on the White House website at 1 p.m. ET on Friday, Oct. 7. Follow the conversation at #WHChamps, and please celebrate Dr. Kevan Main’s achievements by tagging #MoteMarineLab. The 12 Champions of Change promote sustainable seafood through commercial enterprises, conservation, management and research. Main is one of just two Champions working in aquaculture. More than half the world’s seafood is supplied by aquaculture, with many wild fish stocks overfished and declining, but U.S. marine aquaculture — fish farming — produces far less seafood than aquaculture in Asia, Europe, Canada, Central and South America. More than 91 percent of U.S.-consumed seafood is imported. Main has more than 30 years of experience in the aquaculture of tropical and subtropical fish and invertebrates from around the world. Before joining Mote, Main worked in the American Pacific Islands and numerous countries throughout Asia to expand the U.S. aquaculture industry. She was the first director of the U.S. Department of Agriculture regional aquaculture center in Hawaii – the Center for Tropical and Subtropical Aquaculture. 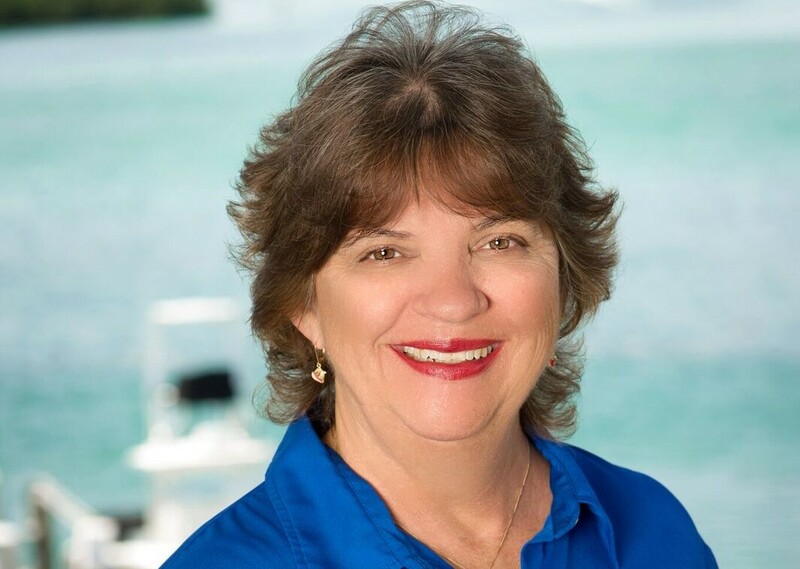 Over her career, she has published seven books and more than 50 peer-reviewed publications and has traveled to aquaculture facilities throughout Asia, Europe and the U.S. In February 2016, she was honored with the Fellow of the World Aquaculture Society Award. Over the past 15 years, Dr. Main and her team at Mote have been conducting research to develop innovative and sustainable technologies for raising red drum, Florida pompano, greater amberjack, common snook and red snapper to support enhancement of wild stocks and to produce juvenile fish for both land-based recirculating and offshore cage farms. Main’s work is especially significant now: In January 2016, the National Oceanic and Atmospheric Administration (NOAA) announced the publication of a groundbreaking rule implementing the Fishery Management Plan for Aquaculture in Federal Waters of the Gulf of Mexico. Offshore farms have the potential to generate significant quantities of marine fish to meet the growing demand for high-quality, domestically farmed seafood. To help this happen, much more work is needed to develop sustainable, land-based hatchery production technologies for Gulf marine fishes – the forte of Main and her team. Main has been instrumental in Mote’s efforts to translate and transfer innovative aquaculture technology to the commercial sector and implement real change that will fuel a new economic engine of environmentally sustainable, land-based and offshore aquaculture in the U.S. Beyond basic science and technology, Main connects regularly with chefs and seafood marketers in southwest Florida and elsewhere. Several gourmet restaurants have used and praised the quality of seafood and salt-tolerant vegetables from Mote’s marine aquaponics prototype system. Main also shares knowledge to support national and international policy discussion. In fact, she recently helped to promote Florida’s eco-friendly seafood and shared her scientific expertise with ocean-focused leaders and the public as a member of an aquaculture panel during Capitol Hill Ocean Week during June 2016 in Washington, D.C.
12 Champions of Change for Sustainable Seafood were honored on Oct. 7 at the White House, accompanied by NOAA leaders. From left: Bun Lai of Miya's Sushi, Dr. Kathryn Sullivan, Undersecretary of NOAA, Jason DeLaCruz of Wild Seafood Co., Chris Brown of Seafood Harvesters of America, Richard B. Robins, Jr. of Bernie’s Conchs Seafood Market and Ocean Perfect Seafoods, Inc., Robin Alden of Penobscot East Resource Center, Brad Pettinger Oregon Trawl Commission, Luka Mossman of the Conservation International Hawaii program, Monica Jain of Fish 2.0, Alan Lovewell of Real Good Fish, Dr. Kevan Main, senior scientist at Mote Marine Laboratory, Byron Encalade of the Louisiana Oysterman Association, and Dr. Jane Lubchenco, former Undersecretary of NOAA. Credit Mote Marine Lab. The White House event recognizing these Champions at 1 p.m. Friday, Oct. 7, will feature remarks by Managing Director of the Council on Environmental Quality Christy Goldfuss, Administrator of the National Oceanic and Atmospheric Administration Dr. Kathryn D. Sullivan and Deputy Secretary of the Department of Commerce Bruce H. Andrews. The United States fishing industry is critical to the economic health and well-being of communities across the country, supporting 1.8 million jobs and contributing over $200 billion to the economy in 2014. However, our marine ecosystems are under threat from multiple stressors, including climate change and ocean acidification. The need for innovation in sustainable fisheries has never been greater. Local leaders serve as the backbone of our communities, working to build resilient coasts and striving to protect the at-risk towns whose future depend on the recovery of our fisheries. The administration applauds the hard work, collaboration and sacrifice by many across the country to become responsible stewards and safeguard our seafood security. 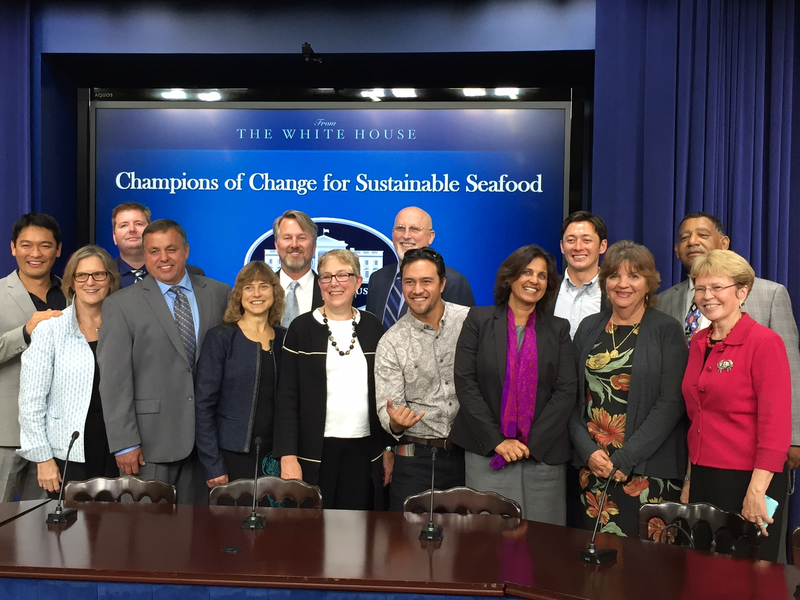 These Champions of Change are ensuring the United States is a global leader in sustainable seafood management.